Recently I've been making a real effort to try and up my fitness game. Ever since January, when I was very much in 'new year, new me' mode (as well as having a little health scare which definitely helped give me the kick up the bum I needed), I've been trying to work out more, eat better, and just generally look after myself. Of course, it's not been plain sailing. Exactly a year ago yesterday, I uploaded this post about food, and although writing that post set me off in the right direction, bingeing has been something which has crept in more and more recently and that's definitely been hindering me on my journey to health and feeling happy with my body. However, there are more good days than bad and with every mistake I make, I learn something new, so I feel like I'm slowly but surely getting there. I have lost just under a stone over the past few months, which isn't a lot to some, but considering I was on an upward spiral with my weight, to know that I can lose weight if I put my mind to it is such a good feeling. So, what have I been doing? Well, at the start of the year I cut out Diet Coke, which was the hardest thing EVER but has helped so much. I think just knowing I actually can cut something out without spontaneously combusting has been a big relief! Along with that, I've been incorporating more fruit into my diet. And when I say more, what I actually mean is any fruit, full stop. Before I wasn't eating fruit at all (unless the raisins in cereal bars count) and I realise now just how unhealthy that was. Although fruit still isn't my favourite thing, I now happily chomp on grapes and apples without complaining. Salads have also become more of a regular thing diet-wise too, although my "salads" aren't exactly the most imaginative of things. Having them has meant I've been cutting down a lot on bread (I used to have a sandwich every day) and I'm sure this has helped somewhat too. In terms of exercise, the gym has become my new best friend. At the start of the year I was going 3-4 times a week and feeling great, and although I'm not going all that often now, I do plan to get back on it. The gym is such a daunting place and especially if, like me, you're going alone, it can be pretty nerve-wracking. Once you're there, however, it feels so good to really get your body moving and I often find it lifts my mood SO much - something which is definitely worth all the sweat! As well as the gym, more recently I've been getting back into running, as I have the Race for Life for Cancer Research coming up and I want to try and get a bit faster than I was last time. I absolutely HATE running (I can't understand how anyone likes it), but I do find pushing myself and getting out in the countryside every now and again really refreshing. I've been using the Strava app to track my runs and it's nice to get little awards every time you beat your goals! So, what are my plans for this little blog and fitness-themed posts? 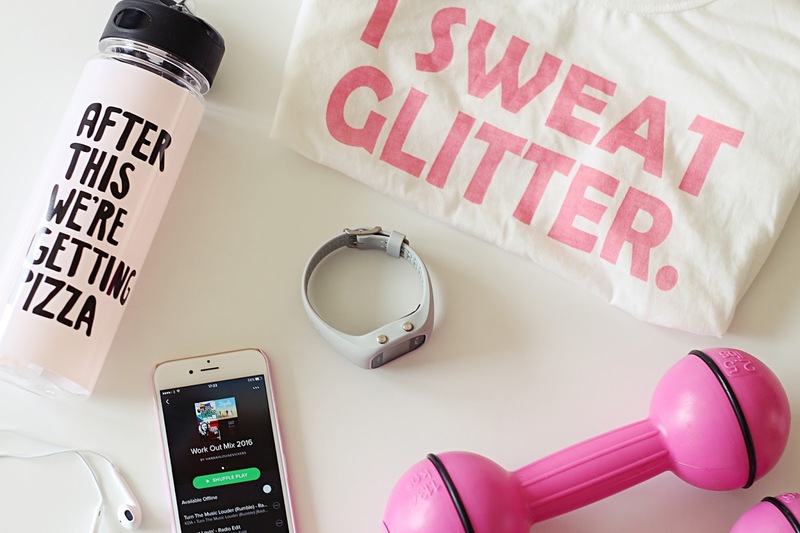 Well, as I've said before, I'd like to take you guys along with me on this fitness journey, so there are definitely going to be more fitness-themed posts on the blog. Obviously, I'm not a fitness expert (sheesh, far from it!) but I think it might be nice to get a bit of an un-fitnessy person's perspective when it comes to getting fit and healthy. Will you be donning your trainers and joining me?